I am not giving anything away today, so here are my favourite reads of 2011 so far, plus a few honourable mentions! Anna and the French Kiss by Stephanie Perkins - This is YA at it's best. I am planning to review this book as part of the Paris in July event that is being run by Karen from Bookbath and Tamara from Thyme for Tea again this year. For now, I will say that this book had me wishing that I could visit Paris any time of the year, not just in July. A Discovery of Witches by Deborah Harkness - If there was a book that ticked all my boxes in terms of something I would really enjoy reading, then this book was it. It has vampires, witches, time travel, romance, drama and adventure, and a fabulous house, and much, much more! Can not wait for the second book in the trilogy. The Last Letter from Your Lover by Jojo Moyes -This book won the UK Romantic Novelists' Association award for Romantic Novel of the Year, and I have to say that it was well deserved. I couldn't imagine that I would love a book about two people involved in an adulterous relationship would touch me the way this one did. It also had humour and poignancy in the form of break up letters from various sources. Just thinking about the book makes me want to reread this book. 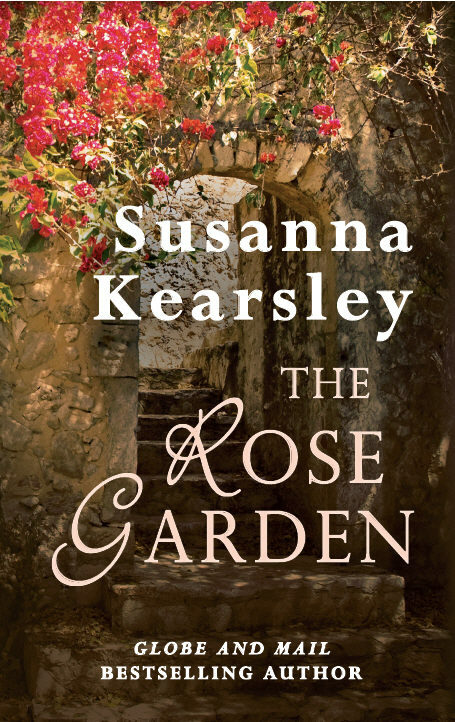 The Rose Garden by Susanna Kearsley - I think I am genetically predisposed to love the writing of Susanna Kearsley, and this book was no exception. I was going to say that this was her best book since The Winter Sea, but given that The Winter Sea was her last book, that really doesn't say all that much does it! I am currently working on a buddy review for this one, so the review should be up shortly! I will say that this book has a twist in it that literally had me gasping out loud when I read it! This year I seem to be reading a lot of short stories, with a particular focus on short stories by Australian authors. This is quite a change for me, because before this year I used to mainly search out short stories only when they were part of an ongoing series that I was already invested in. It also has had the added bonus of introducing me to some Australian authors that I hadn't read before. Margo Lanagan - I am thoroughly enjoying my trip through Margo Lanagan's short stories. 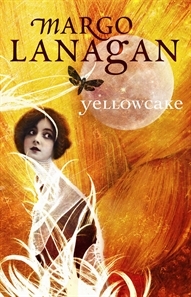 You can read my review of Yellowcake here. I can't wait to read her next collection, and do also intend to read Tender Morsels soon too. 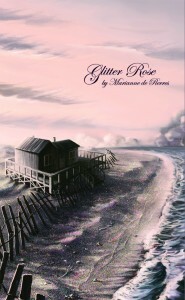 Marianne de Pierres - I bought her Glitter Rose collection when I went to Sydney earlier this year. I wasn't really sure what to expect, but it was oh so good. Now I need to read Burning Bright! Tansy Rayner Roberts - I first read this author in the Sprawl anthology. Her short story Relentless Adaptations was funny and imaginative, and I really enjoyed her voice. 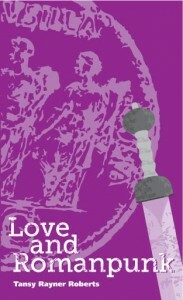 Then I read Love and Romanpunk, which is a collection of four short stories, and really, really enjoyed that too! I have subsequently bought her novel Power and Majesty (the first book in the Creature Court trilogy) and I have high expectations for it. One of the interesting things about this list is that the Sprawl anthology, Glitter Rose and Love and Romanpunk were all published by the same publisher - Twelfth Planet Press. I am not a reader who normally takes notice of particular publishers but I am now taking notice of this one. Yet another way my reading has changed a little this year. So there you have it. My favourites of 2011 so far, and some honourable mentions. What are you favourite reads of this year so far? Mmm, nice list. I've heard very good things about Anna and the French Kiss. I also have Witches on my shelf that I NEED to read. Anna and the French Kiss-great choice. I just finished The Winter Sea and I loved it! I'm definitely adding Rose Garden to the list. Can't wait for your review and that twist sounds to die for. I also just added Love Letter to my TBR a few days ago, though I'm not sure how I can really be behind the relationship if it's an adulterous one. Great choices! I loved Anna and the FK. I want to read Discovery of Witches. I've been intrigued by Anna and the French Kiss, but haven't read it...yet. The Rose Garden looks good. I forgot about A Discovery of Witches! That was a great book. 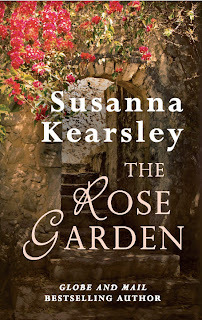 I've never read Susanna Kearsley, I'll have to try her out! So interesting, today a friend recommended Anna and the French Kiss to me today. What a coincidence. Glad to have found your blog through Armchair BEA. Nice to have a new blog to follow as well. Hope to stay in touch in the blogsphere. I'm thinking I want to read A Discovery of Witches. Can't wait for The Rose Garden! Enjoyed Anna and French Kiss. One, two, three, four -- I'm making a note of them. Thank you! A Discovery of Witches made my list of best-of so far, too! I did enjoyed your blogs. Besides I will looking forward for a new upcoming novels release. I got intriguing on the discovery of witches. I did enjoyed all your stuff. Thanks for sharing. Me too, I want to read the discovery of witches later. i am about to start my first susana kearsley book tonight ~ heard so many good things about her. 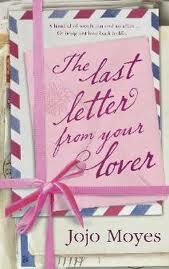 I really must get myself a copy of The Last Letter..., sounds lovely. I have been inspired by your exploration of short story collections. oh! I got intriguing on that collection. I think it's an interesting to collect such a book like that. Sound interesting topic you shared on me...I really like your blog. Thanks!